Kanonkop is situated close to Knysna, within an hour's drive from George and half an hour from Plettenberg Bay, in the Western Cape province of South Africa. The Kanonkop suburb of Knysna was established with a country estate atmosphere in mind. The land sizes thus go up to 8 000 m². Situated on a hilltop with some properties overlooking the Knysna lagoon and others the green inland valleys, it certainly is successful in creating the sense of space! 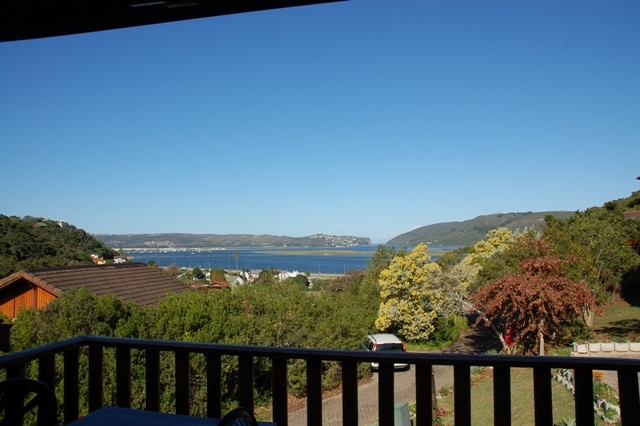 It is the area in Knysna which offers the best weather and view combination - being north facing. Some stately homes were built in this area with privacy being an important aspect. This is a relatively new suburb in Knysna, and the houses thus reflect modern building styles. A few of the larger stands were developed into gated estates comprising four or more homes, which offer all the country living advantages together with the added benefits of security, a modern look-and-feel, and ease of lock-up-and-go. The well-known Knysna Montessori private school is nearby where the very popular Friday Market is held. Knysna Hollow Country Hotel is just around the corner, offering a restaurant and pub facilities. Properties in Kanonkop are only 2 km from town, but offers tranquil country living with the Knysna lagoon and the promenade within walking distance, as well as the two very popular swimming beaches, Buffalo Bay and Brenton-on-Sea, only a short drive away. If you enjoy being close to town, but love country living, then a property in Kanonkop is for you.